There are many theories about who William Shakespeare was. What makes him unique is that, unlike his contemporaries, he wasn’t university educated; he was a glove maker. He approached plays and theatre from a very different background. Shakespeare wrote plays for everyone. He was - probably - a Catholic writing plays in a protestant world; he had to be very, very careful. He wrote a lot of plays and people liked them. A lot of people went to see his plays performed in London theatres and, especially at the Globe theatre after 1599. Now, probably you are thinking about how I can know all these thing. The answer is … yes, I studied something for school but I have also seen an amazing tv series about Shakespeare: WILL. 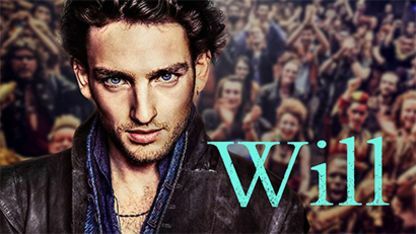 This tv series is a about William Shakespeare’ s life. It is just one season, 10 episodes. Will comes to London after leaving his family, his wife and his three children. When he steps into London for the first time , he discovers a new reality based on art, nightlife, poetry, love and religious persecution. He sells one of his play to a company led by James Burbage. Here he meets ALICE. He’s never met anyone like her. He falls in love with the place and he falls in love with the girl ….. and it’s hard to separate the two things. Alice is Burbage’s daughter. Will falls in love with her temper and her personality. She really stands up for what she believes in. He discovers something they can share. It’s so unique when you can find someone that can understand you and believe in you. The soundtrack and the costumes really gives you and idea of what it would be like to be a poet at that time: you were like a rock star. The songs in the soundtrack are rock and the secondary characters’ costumes reminds punk rockstars. Can you imagine Shakespeare, such an icon character of the Elizabethan Age, as a present day rapper ? I recommend you to watch this tv series. It is simply amazing and also the actors are very good! Do you know films or tv series about Shakespeare? Have you seen this TV series yet? Let me know in your comments! !